Xiaomi, the another premium smartphone maker from China announced its arrival in India with the launch of Mi 3 in India at a very attractive price of ₹ 14,999. Yes, the phone blow away all its competitors, including Motorola Moto G.
Xiaomi Mi 3 sports 5-inch Full HD 1080p IPS Display with 441 PPI, 2.3 GHz Qualcomm Snapdragon 800 Quad-core CPU with Adreno 330, 13 MP rear camera and 2 MP front camera. The CPU is mated with 2 GB of RAM and 16 GB of Internal Memory. The 13 MP Rear camera has 5-piece lens includes an infrared filter for more accurate, true to life colors, f/2.2 aperture, 28 mm wide angle lens and dual LED flash. The Mi 3 also has 2 MP front facing camera with 30mm wide-angle lens and skin tone highlights for great selfie. The Mi 3 is powered by a 3050 mAh battery which gives 21 hours Internet use on 3G and 500 of standby time. The Mi 3 is not made up of cheap plastic instead they’re using a magnesium alloy frame coated with three layers of thermal graphite. 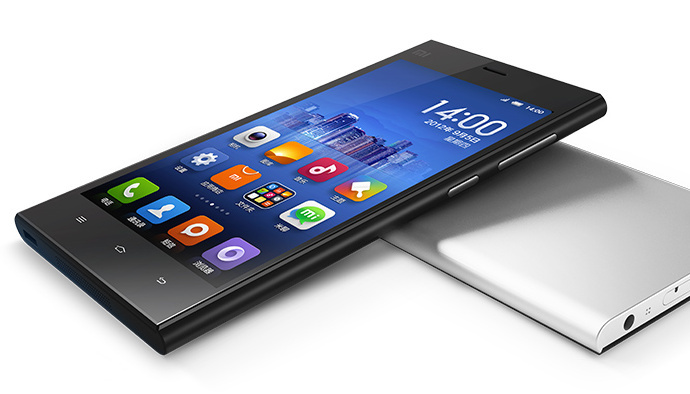 The Mi 3 is runs on MIUI V5 which customized version of Android which is based on Android 4.3 Jelly Bean. The phone comes with water-resistant cover and soft microfiber lining protect your phone from end-to-end.